Will Gadd is a living legend in the mountaineering world. 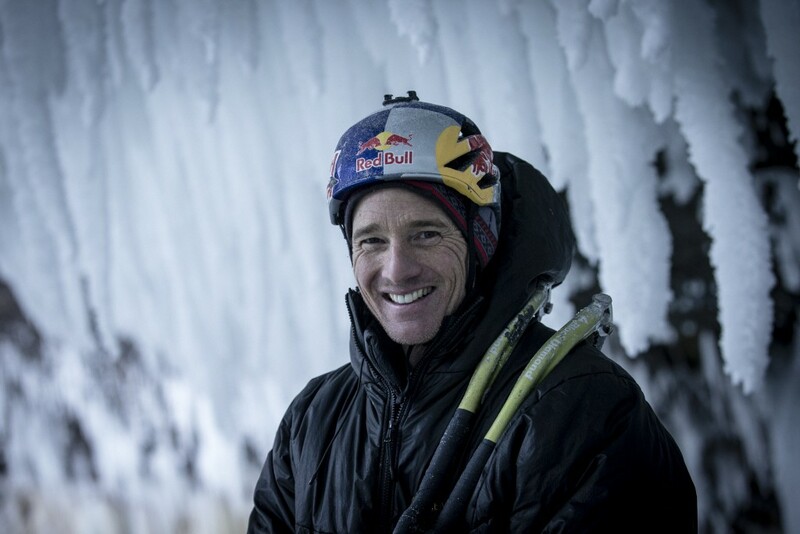 Few have won as many big competitions or climbed as many ice and rock walls as this 47-year-old Canadian. In 2014 he successfully completed the most difficult mixed-climbing challenge of his life, the “Overhead Hazard.” A story which is featured in our new Coffee Table Book “ABENTEUER“. We have put together the most inspiring and adventurous stories of the last 15 years European Outdoor Film Tour: 224 pages, 22 chapters and 180 pictures. Get a first glimpse of Will Gadds story in “ABENTEUER”. “Some people believe getting older is a bad thing. But I’m proud to have gotten this old,” Will laughs. “It’s the best thing I’ve managed to do in my life – having come this far.” The Canadian adventurer probably has a point. Will grew up in a family of mountaineers and adventurers and delved into the “Freedom of the Hills,” a classic among North American mountaineering and climbing books, when he was still a kid. Over the course of his career this passion and relentless obsession drove Will to achieve all of the major titles in the mountain sports scene: winner of the Ice Climbing World Cup, three gold medals at the Winter X Games, two-time world-record holder in long-distance paragliding, four-time winner of the Canadian National Sport-Climbing Championships, and victories at the U.S. and Canadian Paragliding Nationals. It’s not just titles and records that motivate this all-round athlete. Will is also a book author, TV personality, motivational speaker and world adventure traveler. He created a real stir when he and his buddy Ben climbed a series of floating icebergs around the Atlantic. So why does he do it? Simple. Because the challenges are there and no one else has taken them before! Admittedly, the man is not to be measured by normal standards. He is extreme. A driven person who is constantly on the hunt for adventure and new firsts. With “Overhead Hazard” (M13+), which he himself called the “most difficult, most incredible and most exciting mixed climb in the world,” Will once again proved just how much he loves taking on uncharted territory. 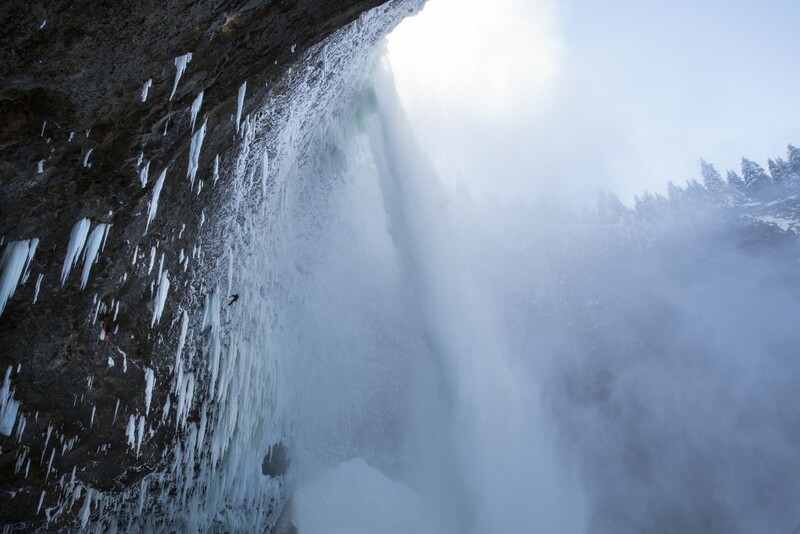 Even the setting was a masterstroke: a dramatic overhanging rock 200 meters in height, hidden behind the thundering waters of Helmcken Falls in British Columbia. There, icicles extend like daggers from the overspray ice andthreaten at any moment to fall. The ropes freeze constantly. Some of the holds only endure because the mud is frozen. 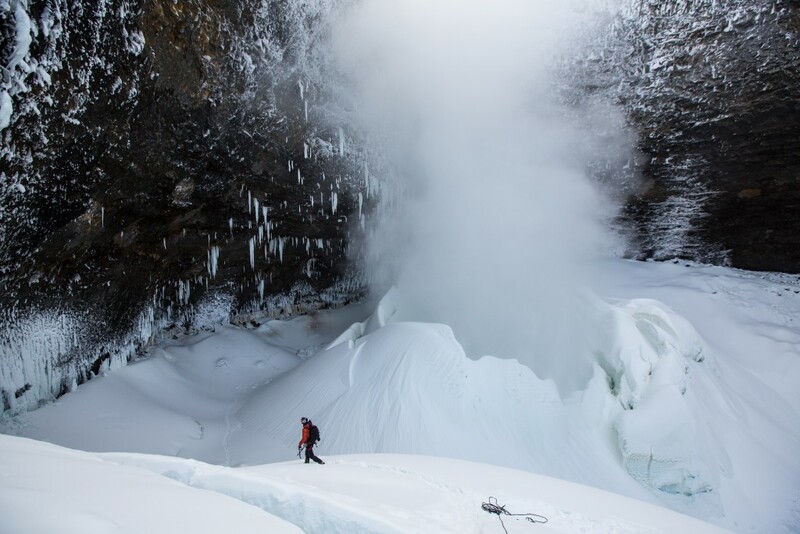 “The route at Helmcken Falls is truly severe and really dangerous, but it was the perfect moment for me,” says Gadd. “I had trained hard and at 47 years of age I was fitter and stronger than ever.” On February 13th, after several weeks of preparation with his team, the Canadian managed to do the entire multiple-rope route in a single day. Temperatures hovered around -30 degrees Celsius. JUST SURFING | Meet Fanfan Cardonnet!